Is the T-TPLF Running Another Resignation Scam in Ethiopia? ( Al Mariam) – Satenaw Ethioopian News & Breaking News: Your right to know! Yesterday, T-TPLF prime minster Hailemariam Desalegn “resigned”. Today, it is rumored the T-TPLF is ready to declare another state of emergency to continue to cling to power. In October 2016, the T-TPLF declared a state of emergency for itself. The T-TPLF is on life support once again. Quick to the state of emergency room! A state of emergency declaration is not going to save the T-TPLF! It only prolongs its agony and delays the inevitable. The “geniuses” of the Thugtatorship of the Tigrean People’s Liberation Front (T-TPLF) still think we are all dumb as a box of rocks. They think they can cling to power for one more day, one more week, one more year by throwing out a media chaff and declaring a state of emergency. The T-TLF bosses like to play games. Mind games. Zero sum games. State of emergency games. Propaganda games. Negotiation games. They only need to play “game over” games. “Aabracadabra!”, he is back on the job! The T-TPLF crooks believe we are all suckers born yesterday and they can fool us at any time. But we were not born last night! We know when we are being scammed and bamboozled. But the politically tone-deaf T-TPLF bosses sitting in their echo chambers believe they can scam us every time, all the time, until the end of time. Within weeks, in December 2017, Abadula was back at his old job, doing what he does best: Running the rubberstamping machine in the T-TPLF parliament. Bereket Simon, a major T-TPLF underboss, also submitted his resignation in October 2017, only to un-resign by December 2017 with Abadula. The T-TPLF shapeshifting bosses have been “resigning”, un-resigning and doing musical chairs power-plays for quite some time. 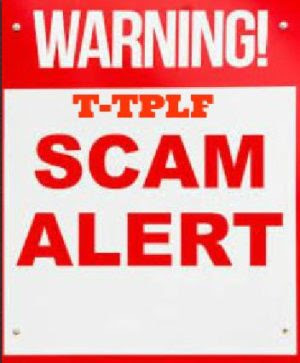 The T-TPLF shapeshifters are like electrons and Schrödinger’s cat. They can be two places at the same time. They can be two opposite things at the same time. They can resign and un-resign at the same time. Because the T-TPLF is so super-secretive, it is impossible to know if Hailemariam has resigned or un-resigned. Therefore, like Schrödinger’s paradox, he may have both resigned and un-resigned at the same time. But here is more proof. Consider all of the other T-TPLF Schrödinger’s cats who have resigned and un-resigned at the same time: Seyoum Mesfin, Abay Tsehaye, Debretsion “Sugar Daddy John” Gebremichael, Azeb “The Queen of Mean” Meles-Mesfin, Arkebe Iqubay, Abay Woldu, Birhane Gebrekirstos, Zeray Asgedom, Getachew Reda and many others. These shapeshifters have been resigning and un-resigning from power at the same time for years. Now, Hailemariam Desalegn suddenly announces he has resigned, kind of, sort of, that is. He has resigned sort of like Abadula and Bereket Simon who resigned and un-resigned at the same time. Let me try again. Hailemariam has resigned but not until his resignation is approved by the T-TPLF executive committee and parliament. Just like Abadula Gemeda. When that committee and party approval will come is anybody’s guess. Maybe there will be approval, maybe not. Maybe the executive committee will approve and the parliament disapprove or vise versa. The date of approval is the 31st of February. In the meantime, Hailemariam remains a puppet prime minister. In his resignation statement, Hailemariam shed crocodile tears for the innocent young Ethiopians mowed down by his own security police and military. His T-TPLF bosses ordered him to order the massacres. They made sure Hailemariam’s fingerprints were on the massacre weapons. “I was simply taking orders” is no defense to crimes against humanity. Hailemariam is the kind of Shakespearean villain who smiles as he murders and murders as he smiles. “Why, I can smile and murder whiles I smile,/ And cry ‘content’ to that which grieves my heart,/ And wet my cheeks with artificial tears,/And frame my face for all occasions”. Save the artificial tears for that time when you shall stand at the bar of justice, Hailemariam. But is Hailemariam Schrödinger really out? Or is he “out-in, in-out” T-TPLF style? Is Hailemariam shapeshifting into now-I-resign, now-I-unresign when he says he will resign when his party allows him to resign but until then he un-resigns? T-TPLF communications minister Negeri Lencho said Hailmariam has resigned but he has not resigned because the T-TPLF executive committee and the party have not approved his resignation. It is not clear when he will actually resign, according to Negeri. So, there you have it. Que sera, sera, whatever will be will be, the future’s not ours to say if he has resigned or un-resigned. Maybe he has resigned. Maybe he has not resigned. Maybe he will resign. Maybe not. Que sera, sera…! The pattern and practice in T-TPLF game of political musical chairs resignations is becoming pretty clear. The T-TPLF bosses believe they can use high profile resignations as workarounds to defeat the massive nonviolent resistance that is spreading like wildfire throughout Ethiopia today. They believe by grandstanding the make-believe “resignations” of their bosses, they can buy the good will and support of the Ethiopian people. I say to make the sauce tasty and palatable, it is necessary to fire the chef (not resign) along with his entire kitchen and serving staff and all the vendors. It is necessary to completely clean out the T-TPLF from the Ethiopia kitchen. All of the make-believe bogus resignations are part of a larger psychological warfare operation (PsyOps) that the T-TPLF is conducting. The T-TPLF is waging psychological war because its war on the people of Ethiopia with AK-47s and machineguns is not working out too well. The more the T-TPLF kills and massacres, the more people come out to protest and resist. In Ethiopia today, there is a bit of mass euphoria over the release of political prisoners and expectations of more good things to come from the current struggle. Though a few high profile political prisoners have been “released”, they are far from being free. Tens of thousands of their brothers and sisters still remain in T-TPLF prisons. Those who have been released just joined an open air prison called “Ethiopia” holding 00 million people. The sadistic T-TPLF Schadenfreude (killjoy) who derive enjoyment from the suffering of others want to transform whatever little joy and euphoria that exists into mass hysteria. They talk about “time running out”, “running away before sundown” and “making the last defense before it’s too late”. They spread the gospel of gloom and doom among the people of Tigray. T-TPLF uber-boss Seyoum Mesfin told the people of Tigray to prepare for the final showdown, the Ethiopian Armageddon. He appealed to the youth of Tigray to join in the last crusade against their Ethiopian brothers and sisters to lay their lives down in defense of the T-TPLF’s ethnic apartheid supremacy system. Today, the T-TPLF is even putting on military parades on their television programs displaying their military weapons and hardware. It is all intended to send a message to the people of Ethiopia: The T-TPLF is ready for the final Ethiopian Armageddon. But there will be no Armageddon. The T-TPLF can have its own intra-organizational Armageddon. So far, they are doing a hell of a job creating a total meltdown in the T-TPLF. At least that’s what they want us to believe. The T-TPLF has been experimenting with all sorts of PsyOps in the recent past. This past September, in the first ten days of Ethiopian New year, the T-TPLF launched a major psychological warfare operation on the Ethiopian people. The T-TPLF PsyOps aim to disrupt, confuse and mislead the nonviolent national resistance movement. For the first time, the stars are aligned for Ethiopia. The people are on the move, their friends abroad are waiting in the wings. The U.S. Congress has set high noon on February 28, 2018 for the T-TPLF to stop killing Ethiopians and make itself accountable to U.N. human rights investigations. The Trump administration has also declared it will take “aggressive action” on human rights in Africa. So, exactly what is the T-TPLF doing with the Hailemariam “resignation” game? 1) Divert domestic and international attention. By announcing Hailemariam’s “resignation, the T-TPLF is trying to send targeted messages to the domestic and international communities. First, they are signaling to the Ethiopian population that Hailemariam’s resignation is a big deal. It signals imminent real and positive change, implying he was the problem all along. They did a number on him: Use him and lose him. He did their dirty work, now he gets the boot in the seats. They even made Hailemariam babble in his “resignation speech” about why it is necessary to usher in real democracy. What an Epiphany! But let’s think about it. Does the resignation of a puppet prime minister mean a damn thing? Hailemariam never had power or influence. He did what he is told. He has always been an empty suit in the prime minster’s office. Does it matter whether he resigns or stays? Who the hell cares? Second, the T-TPLF is sending a message to the international community, particularly the U.S. Congress has set a February 28, 2018 deadline for the T-TPLF to clean up their act, shape up or the hammer will drop on their head. They want to convince the U.S. Congress and the Trump administration that they are going to be good boys from now on and pretty please don’t spank us with your Magnitsky Act. We have billions in stolen cash stashed in America. The fact of the matter is that the T-TPLF cashed out its last check on January 20, 2018 when Barack Obama, their patron saint and savior, walked over to the trash bin of African history. Or was it “right side of history”? Obama, Susan Rice, Gayle Smith and the whole T-TPLF gang can now have a hell of a party in the trash heap of history. The T-TPLF will not be able to make suckers out of Congressman Chris Smith, Secretary of State Rex Tillerson, Asst. Sec. Donald Yamamoto or Amb. Michael Raynor. 3) Sap the energy of the youth resistance. The T-TPLF hopes the Hailemariam resignation will at least for a time sap the energy out of the youth movement which has been the motive force in the mass mobilization against T-TPLF ethnic apartheid rule. They hope the youth will somehow be confused by the “big move” and slow down their protests and nonviolent resistance actions. They think they can fool the youth into believing that they will appoint a prime minister who is popular with them and reflects their dreams and aspirations. The T-TPLF insultingly underestimates Ethiopia’s youth. They are not going to be fooled with paper bags of cotton candy. They want real change. That means an immediate and complete end to ethnic apartheid in Ethiopia. 4) Change and control the narrative– All the talk to day is about the political prisoners that never existed being released. Of course, 99.6 percent of all political prisoners in Ethiopia are still in prison. The high profile prisoners have been released are more defiant after their release than before. They are talking about intensifying the nonviolent struggle and openly demanding democracy come hell or high water. They are getting an enormous amount of national and international attention. That attention has placed a laser beam on the atrocious human rights record of the T-TPLF. By announcing Hailemariam’s “resignation”, the T-TPLF hopes attention will be focused on all the good things they are doing, how they are making fundamental changes and why they should be given a chance just one more time. They want to buy a little more time with their window dressing changes and gain the support of the loaners and donors while pulling the rug over the eyes of the Ethiopian people for the umpteenth time. The fact of the matter is that no amount of windrow dressing and game playing is going to change the simple truth. The T-TPLF had 27 years to clean up its act and make things right in Ethiopia. Instead, they used their strategy of divide-by-ethnicity-religion-language-and-region to cling to power. In August 2016, I wrote a commentary entitled, “Ethiopia: The Volcano, the Beast and the Tiger”. I developed twin themes from President John F. Kennedy observations about revolution and change. Kennedy said, “Those who make peaceful revolution impossible will make violent revolution inevitable.” He also said during his inaugural address, “Those who foolishly sought power by riding the back of the tiger ended up inside”. The only choice they have now is this: Make peace and reconcile with the tiger or end up being tiger dinner. For years, the T-TPLF bosses have been boasting, “No one will take away the power we got shedding our blood in the bush by dropping a ballot in an election box.” They have been preparing for an imaginary Rwanda-style Interahamwe genocide. In the past few days, they have been showing on television how mighty their military and security forces are raising the specter that they will go down fighting. Does Hailemariam’s resignation signal the moment for the T-TPLF to cry “Havoc!” and unleash its dogs of war on the Ethiopian people? The clarion call for the nonviolent struggle against ethnic apartheid came on October 16, 2016, during the Irrecha Massacres. Over a thousand courageous, freedom-loving young Ethiopians chanted “Down, Down Woyane!” as they went down to the ground riddled by T-TPLF machine gun and AK47 bullets. Those defiant dying words are now coming alive. Up, up with the people of Ethiopia! Back in my day, we used to sing, “Up, Up with People”. “Up! Up with the Ethiopian people! Up! Up with the Ethiopian People! They’re the best kind of folks we know. Like a mighty army, I saw them coming forth. ‘Twas a great reunion, befitting of a king! Then I realized Ethiopian people are more important than any thing. Professor Alemayehu G. Mariam teaches political science at California State University, San Bernardino. His teaching areas include American constitutional law, civil rights law, judicial process, American and California state governments, and African politics. He has published two volumes on American constitutional law, including American Constitutional Law: Structures and Process (1994) and American Constitutional Law: Civil Liberties and Civil Rights (1998). He is the Senior Editor of the International Journal of Ethiopian Studies, a leading scholarly journal on Ethiopia. For the last several years, Prof. Mariam has written weekly web commentaries on Ethiopian human rights and African issues that are widely read online. He blogged on the Huffington post at http://www.huffingtonpost.com/alemayehu-g-mariam/ and later on open.salon until that blogsite shut down in March 2015.